Replica Pickering coaches 6338, 4154 & 6466, Llanfair Caereinion, Fri 26 August 2011. 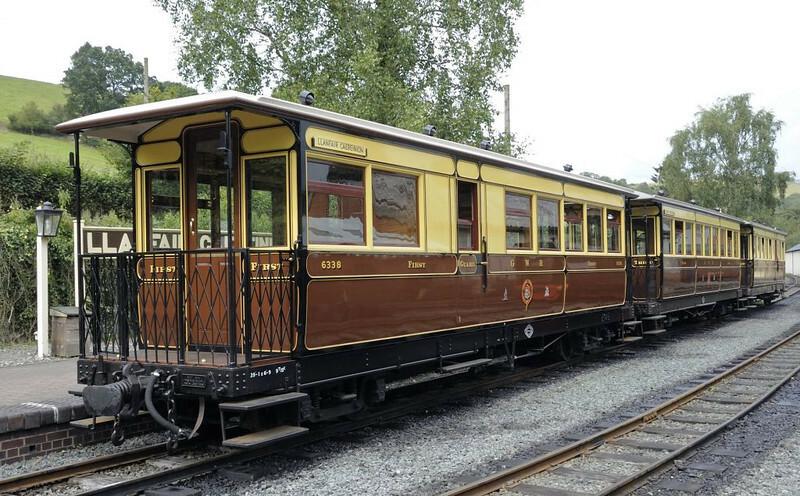 These coaches were built by the Ffestiniog Rly workshops at Boston Lodge in 2004 - 2010. They replicate the three coaches supplied by Pickering for the W & L's opening. Passenger services on the line ended as early as 1931.